Today, I am starting to teach a course in Environmental Law and Policy, at the University of California at Santa Cruz, filling in for Professor Tim Duane, who is teaching at the Seattle University School of Law this Quarter. According to the official syllabus, the course will “focus on environmental laws in the context of the legal institutions that determine and implement the law. Particular attention will be paid to the interactions among and between the three branches of government in the American legal system: the legislative, executive, and judicial branches. The course will also illuminate how the three different “levels” of government in our system – the federal, state, and local levels of government – interact with respect to environmental law. 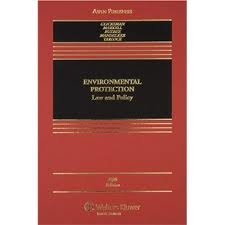 The course will mostly focus on the federal environmental laws that have dominated environmental policy in the United States since the period during which most of them were adopted, from 1969-1973. 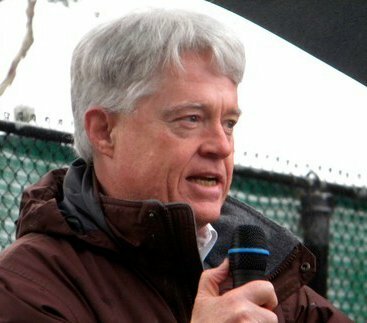 While the “political” forces that have driven and drive the adoption of legislative enactments will not be extensively examined, the importance of “politics” in determining the legal force of legislation will play a role in our analysis of what has come to be called “environmental law.” A main emphasis in the course will be on seeing how environmental law is implemented through a dynamic interpretation and reinterpretation of legislative and regulatory enactments, in the context of politically‑sensitive administrations, courts, and legislatures." What I am really hoping will come across, to the fifty or so students in the course, is this basic thought: "laws" are the rules we establish for ourselves, to guide our own actions, and it is imperative that we develop and follow human-created laws that will show appropriate respect for the "laws" of Nature (the environment) upon which all of our works depend. Have fun! Wish I was there!